Moving seamlessly between the constellations of jazz styles and the rich and varied literature of the classical masters, Joel LaRue Smith is one of those rare and gifted pianists who have never had to choose between these two musical worlds, because for him they are not separate. His pianistic skill, musical artistry, and intuitive understanding of each composer he interprets speak directly and intimately to his listeners. He invites them to enter into a unique, personal, and exhilarating musical experience, regardless of the genre. To understand his development as a fluent interpreter of both idioms, one needs only to understand the roots of his musical beginnings. Born in New York City, one of ten children, Joel began playing the piano at age five and knew from those early beginnings that the piano was his life’s calling. After waiting patiently for his turn for formal training, he started piano lessons at age eight and showed such talent and discipline that, at the age of fourteen, he was accepted to The High School of Performing Arts in New York City. Upon graduating, he continued his studies in piano, arranging, and composition at City College of New York, where he received a Bachelor of Arts degree. He was then accepted to the prestigious Manhattan School of Music, where he received his Masters of Music degree. Constantly striving for greater understanding and knowledge of his craft, he then engaged in independent study with Mario Bauza, Jaki Byard, Barry Harris, David Del Tredici, Charlie Palmieri, and Ron Carter. Joel’s talent as a pianist finds its sources in a deep understanding of the architecture of music. As a composer and arranger he searches endlessly to redefine the musical experience, bringing a distinct perspective to his music and his interpretation of the masters. He reaches into the roots of his own cultural background as well as into those he has embraced, in order to capture the emotional essence and cultural richness embodied in his playing. Whether he delights his listeners with traveling Afro-Cuban rhythmic patterns, complex Jazz harmonies, and adroit improvisations, or astounds with his technical bravura, exquisite phrasing, and vast wisdom of each of the many classical genres, Joel’s playing is fully alive in each and every moment. As a composer and arranger, he weaves a tapestry of unique musical elements into everything he conceives. What results is a sound punctuated with unpredictable delights, imagination, playfulness, rich textures, and color as he searches endlessly for ways to redefine the musical experience. Joel understands the language of classical music and jazz, but what sets him apart is his ability to convey the inner workings of the dialectical nuances within each language. He invites his listeners not only to hear but also to feel what the composer intended at the time of musical conception. His ability to straddle both musical worlds with such grace and skill is testimony to his gift, his hard work, and his love of his art. 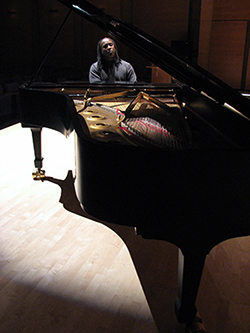 Touring extensively throughout the U.S., Europe, Africa, Asia, Central America, and the Caribbean, Joel has performed at Carnegie Hall, Lincoln Center, The Whitney Museum, The White House, Symphony Hall in San Francisco, Symphony Hall in Boston, The New York Philharmonic at the Apollo Theatre, The Toledo Symphony, The French National Orchestra, and the Royal Albert Hall. Joel has performed with such outstanding artists as Kenny Burrell, Junior Cook, and Wayne Andre, to name a few. In 1993 a World Premiere of Joel’s original compositions was featured in concert halls and cathedrals in Tuscany, Italy. 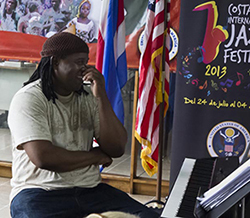 His participation in various Multi-Cultural Festivals includes the Cambridge River Festival, The Salem Jazz and Soul Festival, Guatemala Jazz Festival, Costa Rica Jazz Festival, The Hellenic Music Festival in Athens, Greece, and music festivals in India. He has performed at various noted jazz clubs such as the Blue Note and the Village Gate in New York City, The Top of the Hub in Boston, Jazz Dock in Prague, and the Blue Frog in Mumbai, India. Joel’s debut CD, “September’s Child,” was released in 2009 and performed nationally and internationally to standing ovation crowds. 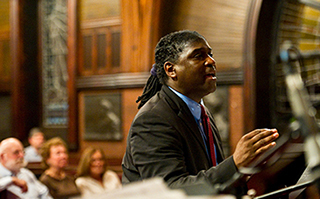 In October 2011 Joel was the featured pianist and arranger at the Annual John Coltrane Memorial Concert in Boston. In 2013 Joel was appointed Cultural Envoy to the U.S. Embassy in Costa Rica. Joel’s newest CD, “The Motorman’s Son” was released in March 2017. 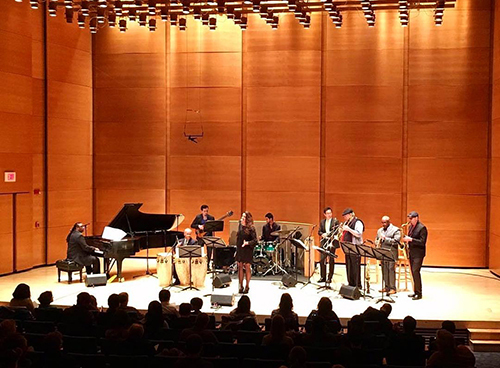 The “Motorman’s Son” is a musical journal through some of the most vibrant rhythms found in the music of Cuba, Puerto Rico, the Dominican Republic and African American Jazz.